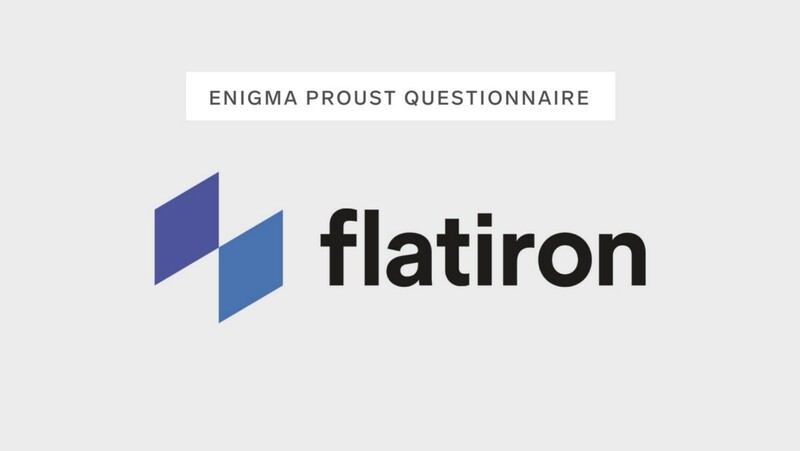 Based on a popular parlor game established by renowned French novelist Marcel Proust, where one’s answers were believed to reveal their true inner workings, Enigma brings you our version of the Proust Questionnaire. We sit down with today’s technology leaders to discover what makes them tick. Hiring an A team for Flatiron. Enjoying the journey at each step instead of preparing for the next. Maximize for breadth of experiences. What problem would you like to see solved before you die? What’s the most overrated industry buzz word? Name the top trait that you look for when hiring talent. Cooperation in solving technical problems. Name the biggest turn off when hiring talent. Lack of ownership of past mistakes. Which brand has had the biggest impact on you to date? It should never be about possessions, it is about people and relationships. What’s the biggest misnomer in healthcare technology? That capturing data is enough to provide value. Data is not valuable without completeness, quality and real interoperability. This needs to be ensured by meaningful incentives. Is the reward always worth the risk? Nah, do your math first, and never take a risk jeopardizing your self-integrity or values. Which book had the biggest impact on you? There is no growth in the comfort zone; there is no comfort in the growth zone. Originally published at www.enigma.com on June 18, 2018. Enigma links internal data with real world data to bring contextual intelligence to bear on critical decisions.